From the smallest startups to the largest multinational corporations, businesses everywhere can harness the power of Office 365 for business. 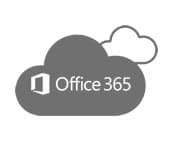 Office 365 uses a cloud-based model that offers businesses greater efficiency, anywhere access, enhanced security, lower costs and a host of other amazing benefits. Representing the most profound change yet, instead of relying on individual desktops, the Office 365 suite of productivity software embraces the cloud and introduces anywhere access and seamless communication for today’s mobile workforce. This suite of cloud-based services offers a number of important benefits for businesses, including the following 7 main advantages outlined below. Enhancements in productivity can provide your business with a major competitive advantage. The cloud-based nature of Office 365 allows employees to work from anywhere so they can accomplish more with fewer resources. Included in Office 365 are two great productivity tools – Skype for Business and SharePoint. We’ll cover each of these tools in greater detail later on in this series, but if you like the idea of improved collaboration and reduced travel time, you’re going to love the video conferencing, screen sharing and remote access control option in Skype for business. If you’re in need of a secure file sharing solution and collaboration tool, SharePoint might just be the answer you’ve been looking for. Both of these tools are great for internal and external communication. Thanks to Office 365, individual workers are no longer bound by geography, no longer restricted to a single time zone and no longer required to be physically present in the office to get their work done. It’s easy to see how the use of a cloud-based platform like Office 365 can lower costs for businesses of all sizes. The shift from the standard Microsoft Office model to the new cloud-based system means more affordable, predictable costs, which gives small businesses the resources they need to compete with their larger, enterprise-level competition. Microsoft offers a number of subscription plans to make investing in Office 365 affordable, no matter what your size or budget. There are subscription plans available for small businesses, mid-sized companies and enterprise-level firms. This flexible subscription-based model translates into more flexibility, lower fees and predictable costs for your business. The ability to collaborate across time zones, geographical borders and overcome software/hardware limitations is one of the biggest advantages of Office 365. While earlier versions of the Microsoft Office productivity suite were dependent on the computers on which they were installed, that is not true with the cloud-based Office 365 model. This means employees, consultants, business owners and managers can now meet without traveling and share files from anywhere, without worrying about emailing files back and forth. The SharePoint platform provides next level collaboration and data access, making it easier than ever for employees and business management to share ideas, suggest solutions and move the business forward. A growing number of the workforce population are ditching their desktop computers for the portability and easy access of mobile devices. Unlike previous software versions, Microsoft has clearly built Office 365 with mobile devices in mind. 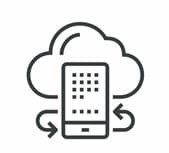 This mobility access and multi-device compatibility is at the heart of the cloud-based model. Earlier versions of Microsoft Office did not even come close to this powerful capability, but Office 365 makes it easy. Speaking of easy, while previous versions of Microsoft Office often came with a steep learning curve, Office 365 is much different and easier to use. Designed with an intuitive interface and nearly no learning curve, Office 365 is simple to use and accessible to even the most technically-challenged individual. OneNote is just one example of the ease of use built into Office 365. This popular tool is designed for freeform information gathering and collaboration, allowing far-flung contributors to share ideas, make edits on the fly and see the results in real time. From handwritten notes and screen clips, to audio commentaries and drawings, OneNote makes everything accessible, and it could not be easier to use. From the ever-present threat of hackers, to the growing danger of ransomware and data theft, data security has never been more of a challenge, or of greater importance. For this reason, Office 365 has been designed from the ground up, with security in mind. Instead of relying on individual users to install updates or for IT support to patch hundreds of desktops, security flaws are found and fixed at the source, with no intervention needed by the end user. This enhanced security is a very big deal, especially for businesses operating in high-risk industries like health care and finance. The cloud-based nature of the Office 365 platform is a real boon for its security, and one of the biggest benefits for businesses of all sizes. Reliability is always a consideration with a cloud-based service, but Office 365 users don’t have to worry. Microsoft guarantees 99.9% uptime for its Office 365 customers – that’s right, reliability is baked right into the platform. In addition, the level of flexibility built into Office 365 is a vast improvement compared to earlier versions of the Microsoft Office suite. Unlike previous versions, Office 365 gives business owners the ability to scale up and down as needed, so they can respond to sudden surges in growth and scale down as needed. Follow us on Facebook for more information on One Drive, One Note, SharePoint and Skype for Business. If your Milwaukee area business has not yet adopted Office 365 into your workplace, you might want to give this cloud-based platform another look. 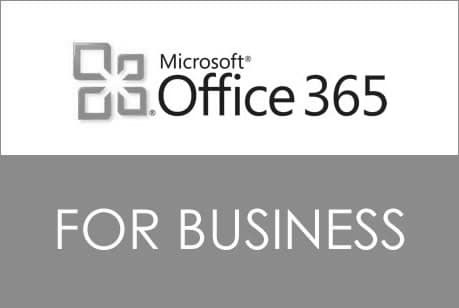 Office 365 offers businesses of all sizes a number of important benefits, from lower costs and greater reliability to a lower learning curve and enhanced security. There has never been a better time to get on the Office 365 bandwagon, and this powerful platform is definitely worth considering. If you’re ready to put Office 365 to work for your company, give our Ontech Systems support team a call at (262) 522-8560 or connect with us online. Our skilled team is highly qualified and experienced with all aspects of Office 365 and other cloud-based software solutions. We’ll help you understand Office 365 capabilities, answer your questions, and ensure your business is positioned for success, productivity and growth – no matter what your size and budget!